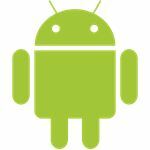 Believe it or not, the Android platform makes use of Microsoft patents in both the operating system and various devices running the software. As a result, Microsoft makes money on every device sold! The fast-moving world of the mobile phone market has taken a few unexpected turns in the past 12 months, not least with Microsoft’s partnership with Nokia and Google’s acquisition of Motorola Mobility. But while one arrangement is simply (at this stage) a strategic partnership to promote a mobile phone platform, the other is a strategic attempt to protect one. You might have heard rumors that Microsoft somehow benefits from Android financially thanks to complicated licensing of Redmond’s vast library of patents. The truth is that various companies around the world are paying Microsoft for the pleasure of using its patents, and that these same companies are manufacturing devices that then run the Android operating system. While Samsung and Apple are having a very public spat on the matter of patents and intellectual property concerning the similarities between their tablets and phones, Microsoft is quietly and intelligently coming to profitable arrangements with anyone that wants to use its patents, enabling it to keep its mobile arm profitable. So what is the deal with patents and intellectual property? Why is Microsoft so keen on taking money off other companies that are building phones for Google Android? Ultimately, it’s all about the intellectual property. Microsoft’s library of patents enables the company to apply pressure on small device manufacturers that are producing Android handsets. All of this makes perfect sense when you think about it – after all, why would Microsoft continue to put money into Windows Phone if they didn’t have the technology and the money to develop it to a standard good enough to challenge Android and the iPhone. Thanks to many years of research Microsoft owns many thousands of patents which are regularly lodged with the appropriate bodies, resulting in Redmond being able to launch a “scattergun" style patent offensive on any company that they suspect might be using its technology. The result of this is that Microsoft’s mobile division has plenty of money coming in from manufacturers such as Compal, Wistron and Quanta Computer. It’s fascinating to learn that a company like Compal – provider of hardware for Acer, Dell and other big names – is the target of Microsoft’s patent-protection actions rather than Google itself, or perhaps Acer. This tactic, of course, prevents the electronics company concerned simply switching to a different manufacturer. It is also interesting to note that Microsoft has made licensing agreements with HTC, a company with which it has a long and successful relationship in the mobile phone market. These arrangements can also protect the supposed infringer from action from other parties, such as Apple -- as a long-term partner on the Windows Phone platform, Microsoft will of course be aware that should HTC be subjected to patent-based action from Apple (in the way that Samsung has been) then this could damage the Windows Phone platform considerably. While Windows Phone might be considered a slow burner in the mobile phone market, Microsoft is nevertheless able to profit from the success of Android and protect its own operating system at the same time. As you may know, the mobile phone market is a five horse race between Android, iPhone, BlackBerry, Windows Phone and Windows Mobile (which is still available in parts of the USA) and Symbian. While the latter is on a seemingly terminal downward spiral and RIM’s BlackBerry platform seems to be constantly shrinking its share, the smart money (and the opinion of industry analysts) is on a three-way fight in future with Google, Microsoft and Apple fighting for supremacy. Gaining a quiet advantage seems to be Microsoft’s game plan here. For years Redmond and Cupertino have been cross-licensing technologies so it is unlikely that Apple will go public with any accusations of patent theft by Microsoft or vice versa. However, while Apple challenges the Google Android platform in its own way, Microsoft is busy chipping away at the dominance of the platform behind the scenes. It’s a clever tactic that has been described as a proxy war -- the open source nature of Android is under scrutiny anyway with a reluctance between Google’s hardware manufacturer partners to share code, and Microsoft’s arrangements with companies like Compal enables both parties to formalize a relationship. Given the possibility of all out patent war in the future, this could prove useful to the smaller companies involved. It isn’t all one way traffic of course. Google has been well aware of its shortcomings on the matter of mobile phone hardware and software patents for some time now, and under pressure from device manufacturers fearing legal action from Microsoft has taken the astonishing step of purchasing Motorola Mobility, once the mobile phone arm of the giant electronics manufacturer. Microsoft has already sued Motorola for patent infringements, but by buying the company for $12.5 billion Google hopes to use its library of 24,000 patents to challenge any new legal action by Microsoft, believing that there is enough to launch countersuits that will protect the Android platform from any future actions. Sadly, the whole issue of mobile device patents looks like it has a long way to go before being resolved.